In 1 1/2-quart microwavable bowl, mix all ingredients except tortilla chips. 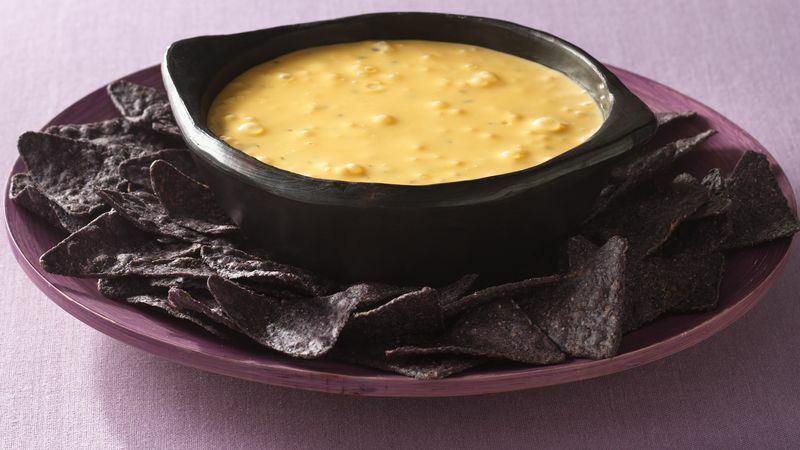 Microwave uncovered on High 5 to 8 minutes, stirring every 3 minutes, until cheese is melted and dip is smooth. To make on the stovetop, mix all ingredients except the tortilla chips in a double boiler. Cook over hot water on medium heat, stirring frequently, until melted and smooth. To easily remove the skin from a clove of garlic, smash the clove with the flat side of a heavy knife to crack the skin, and then slip it off.